One of the fun aspects of visiting a new location is seeing the fun and interesting creatures who call it home. Learn more about Cabo wildlife here! 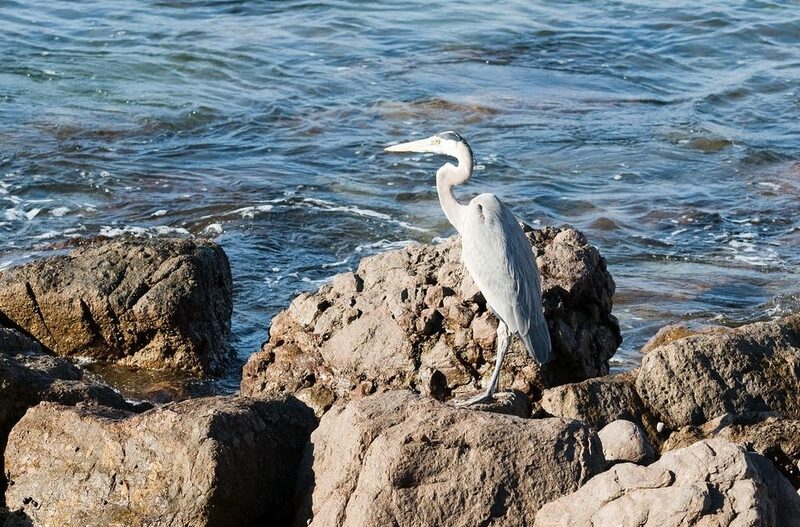 Cabo is a wildlife hotspot, and its variety of fauna is sure to help turn a vacation into a trip of a lifetime. From whale watching, to scuba diving or even in Cabo’s downtown area where all manner of fantastic and majestic wildlife awaits you. So what amazing animals can you expect to see, and where are the top-spots to see them? In this article we’ll be taking a closer look at what Cabo has to offer. Cabo is a prime location for whale watching. These majestic giants of the ocean are best viewed between November and mid-December, perfect timing for vacations to escape the winter chills. 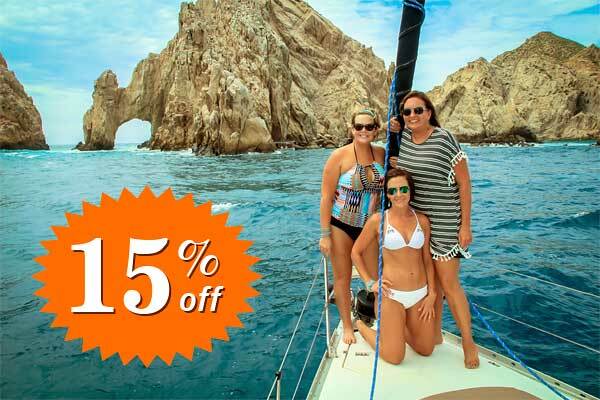 But not to worry if your visit takes place in the summer mind you, as the Cabo San Lucas whale watching season runs between April 15 and December 15, so there are plenty of other opportunities throughout the year. Most commonly you’ll see Gray Whales and Humpback whales, but you may also be treated to encounters with Pacific Bottlenose Dolphins. On top of what is already such an incredible viewing experience, you may even be visited by Blue Whales, Sperm Whales, and Orcas, who have been noted to say hello to visitors on occasion. One of the best things about whale watching, beside of course the wonderful whales you’re sure to see, is that they take place throughout the day and night. If you find yourself with a busy daytime itinerary then there are sunset cruises. Alternatively, if your evenings are reserved for Cabo’s excellent downtown nightlife, there are morning and mid-day trips perfect for your needs. Environmental concerns are central to whale watching in Cabo, so many cruises practice ‘responsible whale watching’. With procedures already in place before you set off, such as intercepting the whales’ natural swimming patterns instead of chasing, that means you can truly sit back, relax and enjoy your once in a lifetime experience with complete peace of mind. Defined over the years as ‘the world’s natural aquarium’, the Sea of Cortez is home to a hugely diverse range of fish and marine life; naming purely the groups of fish (not the many more individual species) is a long list in itself! Cabo is home to Billfish, Corvinas, Sharks, Rays, Squid, Barracuda, and a whole host of shellfish. The best way to view such ocean treasures is of course to snorkel, or for the more adventurous, to scuba dive. Cabo offers a whole host of top snorkeling locations, giving you the choice to explore the magnificent range of tropical fish that’s waiting for you just below the water’s surface. Places you can visit include Cabo San Lucas, Pelican’s Rock, and both Santa Maria and Chileno bays; so if snorkeling captures your heart, Cabo always has a new, exciting location for you to explore. Cruises are typically between 2-3 hours long, allowing you to take your time and truly experience Cabos marine wildlife first hand. If you’re looking for an experience to fill your day, then taking the plunge and trying your hand at scuba diving may be the option for you. You may be surprised to discover that you don’t need experience or qualifications to have your very own all-access tour of Cabos underwater world. Your trip includes a 15-20 minute ‘Discover Scuba Diving’ course, delivered by a certified scuba instructor, who will have you out and exploring with confidence in no time. Scuba diving allows you to get up close and personal with marine life both on the sea bed and all around you. You could say, when it comes to Cabo, there’s no other experience that’s truly as immersive! No need to worry if you’re not a water lover or just want to give the sea a rest for a day or two. Even walking Cabos’ downtown area you can spy hummingbirds, iguanas, desert falcons, and, if your eyes are sharp enough, maybe even the elusive ring-tailed cat. A great way to discover the local fauna that may surprise you is to check out one of Cabos’ many golf courses. Surrounded by wildlife while you play, for many of Cabos’ visitors, golfing is a great way to discover what this holiday destination has to offer, away from the water’s edge. Finally, if you’re wanting to swap salt water for fresh, the stunning San Jose Estuary offers the chance to capture glimpses of a wide range of birds. Best visited early in the morning, you can expect to spot: Yellow or Black-crowned Night-herons, Green Herons, Bitterns, Gray Thrashers, and even the critically endangered Belding’s Yellowthroat. In regards to sun, sea and once in a lifetime wildlife experiences, Cabo really is the place to be. From the great Blue Whale to the smallest hummingbird, Cabo offers a destination of experiences that allow you to immerse yourself in the animal world like nowhere else.